Are you curious about….. what happens if all the trees in the rainforest will cut down or the hazardous Chemicals will spill into a river or ocean? Then you can find answers to these questions in “Environmental Science”. Environmental Science is a branch of science which studies the effects of physical, chemical, and biological conditions of the environment and their effect on organisms. Environmental Science also deals with “Ecology”. Ecology is the study of how organisms interact with our environment. Environmental science is also known as Environmental Engineering also called as an interdisciplinary field because it includes the fields from the social science and the humanities. Apart from the study of biological and physical characters of the environment, it also includes the social and cultural factors and impact of humans on the environment. To know more about the sustainable way of living. Understand the behaviour of organisms under natural conditions. To educate and aware people about environmental problem & issues. To use natural resources more effectively without harming the environment. It teaches the human beings the importance of our environment and how to conserve it. There are other branches of environmental science like atmospheric science which focus on the Earth’s atmosphere. Another is ecology, the study of how organisms interact with the environment and which focuses on chemical alterations in the environment, such as water pollution and soil contamination which is also known as environmental chemistry. There is a vast scope in private or in the government sector for the environments science degree holders. Under this course, aspirants can apply for a research degree in government organizations. Candidates those holding M.Sc degree in Environmental Science can find many lucrative career opportunities in India as well as in abroad. Students can opt certificate, diploma, bachelors, masters and Ph.D courses in this field. For UG courses, students must have passed 10+2 examination with science stream and for PG courses, students should have a bachelor degree in the related field. How to get admission in these courses? For undergraduate courses, students must have passed the 10+2 examination with science subjects (Biology, Mathematics and Chemistry). For admission in postgraduate courses, students should have hold a bachelors degree in the science subjects or related fields. Admissions will be based on the marks obtained in the qualifying examination while some other colleges and universities conduct their own entrance exams to screen candidates for admissions. Environmental Science is that branch of study where you can find numbers of ways to protect our environment with the reliable use of resources. So, it offers a plethora of job opportunity for environmental scientists as well as for environmental biologists, environmental engineers, environmental modellers and environmental journalists. Environmental scientists are employed by the mines, fertilizer plants, textile and dying industry, food processing units, etc. After holding a degree in this field you will get the variety of careers to choose from. They can easily work in government and private organization and many other industries. You can also opt to teach jobs in colleges or universities. In this sector you can be employed by various organizations are such as Pollution Control Board, Water Authority and Urban Planning. Many private organizations like Food processing industries, Refineries, Distilleries and Fertilizer plants are also offering various job opportunities for the graduates in this field. You can avail jobs in fertilizer plants and can also work in food processing companies as Managers. Other jobs present for graduates in this field are an Environmental Journalist in any newspaper, magazine or television station. Many NGOs are growing in working on the issues regarding the environment so, you can also join these organizations according to your choice. Careers can be found in environmental monitoring organizations, environmental consultancies, universities, Industries, distilleries, fertilizer plants, NGOs, Pollution Control Boards, Public Institutions and Private Industries and Firms and many others. In India, the minimum salary of a bachelor’s degree holder in this field is around Rs. 3 to 4 lacs per annum. With a good experience in this field along with masters or Ph.D degree, the average salary can go up to Rs. 6 to 8 lacs per annum. Salary packages in this field also depend upon various factors such as the size of the organization, sectors, working location, education and various other factors. For more information regarding Career in Environmental Science, ask your queries below. I am just going to finish my last semester (8 sem in may-2019) in the BE FROM GTU (gujarat technology university) in the field of environmental science and technology so i just want you to help me that i want to do abroad study so in which field i should go and in which country i should prefer more ? I want to admit in MSc Environmental Science. Can we do masters in agriculture related field after completing the becholar in environmental science?? Hi…sir…what is scope of msc Environmental Science plz tell me.after completed my post graduation I will get good job as in environmental science feild..
sir, I have completed my B.SC Biotechnology. which course is better among all life sciences groups for M.SC. I am a environment science student this year msc is complete I can admission in b.ed course. please reply. I am a msc student in environment Science. This year it will be complete. I am very confused what will I do after that. I need a job please help me. Sir can I(PCMC student) do environmental chemistry after 12th without writing CET exam? What are the leading universities for environmental studies in India. Sir do we get jobs in NASA or ISRO if we do MS in environmental engineering?? Sir,can we study environmental studies in college if we take environmental science without maths in isc 12th? Which one is best engineering or bsc? can an Bsc environmental science student apply for msc environmental engineering? Sir,I have completed b.sc course in chemistry honours.can I do m.sc in environmental studies?please suggest some colleges near Kolkata in West Bengal. I have done B.Sc. with bio stream and M.Sc. IT(Information Technology). Is there any career opportunity for me in this field. Guide me by providing full details abt this course..
Go through this link for complete information on career in environmental science. I have done B.Sc. in Environmental Science and B.Ed (Medical stream) with botany as one of subject. I found that in most of advertisements for TGT (Science) eg. KVS the qualification is mentioned as B.Sc. with Botany, zoology and chemistry and B.Ed. (Medical stream). Is B.Sc.(Env. Science) with B.Ed(Medical) not considered as qualification for TGT(Science) or what is the job scope of my qualification ? zoology,botany,so how can I join environmental science. Detail information given. But more detail should be given for the courses. 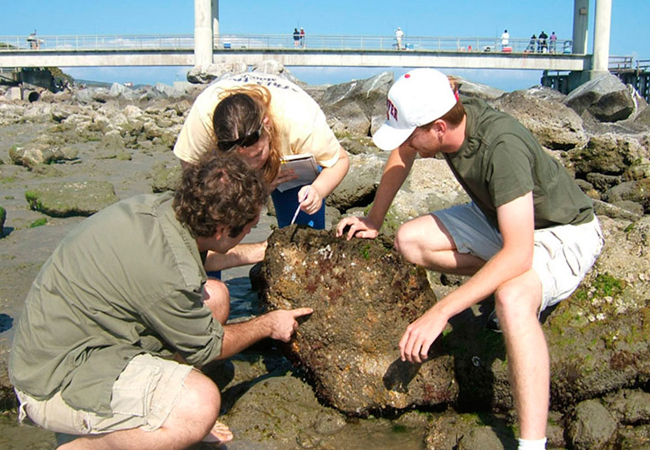 example of courses to study under environmental science. I did my B.com (hons in accountancy).Now I am doing my masters on environmental science from Rabindra Bharati University through distance education.What kind of jobs can I get in India in environmental science field after completing my masters and What will be the salary package? i have completed B.CA. But, i wish to study master degree in envirnment science in biotech. Is possible or not ? No u can’t if u want to study in environmental science in biotechnology than u must passed from science field. Sir,can you suggest me reputed companies abroad that would hire MSc in Environmental Science. Sir I am in 10th standard and I’ve alot of interest on environment studies and love to solve environmental issues. Can you please tell me what to do and from where to do after my 12th. And what are the job opportunities for this? you can pursue B.Sc in environmental sc. you can work as Environmental consultant or Environmental education officer in private companies also you can apply for govt jobs in ministry of environment and forest. hey r u done with your p.g? beacause i am also pursuing m.sc evst from pune.pls inform me anshul. Well I want to ask a question . Actually I’m an Arts student and I’m in my final year but I want to take up Environmental studies in my master so will I be able to take up this subject in my master ? I’m taking Environmental studies in final year so will I be able to take this subject ? Sir I am doing BSc in triple major (Biotechnology biochemistry and genetics). I am interestedin environmental science. Am I eligible to do MSc in Environmental science? You can apply for jobs in private sector, also their are opportunities in the govt. sector. I have completed msc in environmental science and graduation in life science plz let me now the job opportunities near ncr related to biodiversity conservation. Sir suggest me that students have any opportunities to do research in foreign after doing msc in environmental science( jnu) , from government authorities. Are there any oppurtunities and colleges for completing PG environmental science in foriegn countries?? Please do reply me if you have any ideas. I am not sure to my career. Because I don’t suggest.which course is best bio technology& bsc Environmental science. I will finish my 12th std. Next year my subjects are physics,chemistry and biology, I don’t have maths. Am I eligible to pursue environmental science? If yes, how shud I prepare for it ? Can you name good college for environmental science in Bangalore ? I am last semester student of m.sc in environmental management. What types of jobs suits for me..
want to do BSC in Environmental science after my +2. what are the Good colleages in AP and Telenagana. Does this branch have future in abroad…. You can check the career scope section of our article to get details about job. Sir,now im doing pg course in env sci bt im little bit scared about jobs n career in that sub. So plz guide me for that n suggest me which was latest job in env sci. Sir I am not sure to my career . Two study environment science and biotechnology. Which course are important in future. you can first look for the universities offering these courses, then you can check their admission process. The admission are generally based on 12th percentage or entrance test. Sir, I am complet pg diploma in environmental studies.pls tell me job sources of information provided places. I completed my m.sc in organic chemistry,i wan to admission in phd in environmental science is it possible?can i i net exam in environmental science? hi sir… is pg diploma in environmental sciences equal to pg? can i do phd after pg diploma? i am a btech graduate(EEE). My plan is to do pg diploma in environmental sciences from IGNOU, then Mtech in environmental sciences. after this, i want to do phd. is my plan right? or am i taking any wrong step? I have completed btech in electrical. i have environmental sciences as elective in 3rd year. can i do mtech in environmental studies? which colleges provides this mtech course in Hyderabad?